So you have a vehicle that you love to push to the limit at the TRACK, but you also use the same vehicle to COMMUTE daily... You want a coilover to enhance your vehicle's handling performance at the track, but you fear that your daily commute and comfort will be sacrificed. 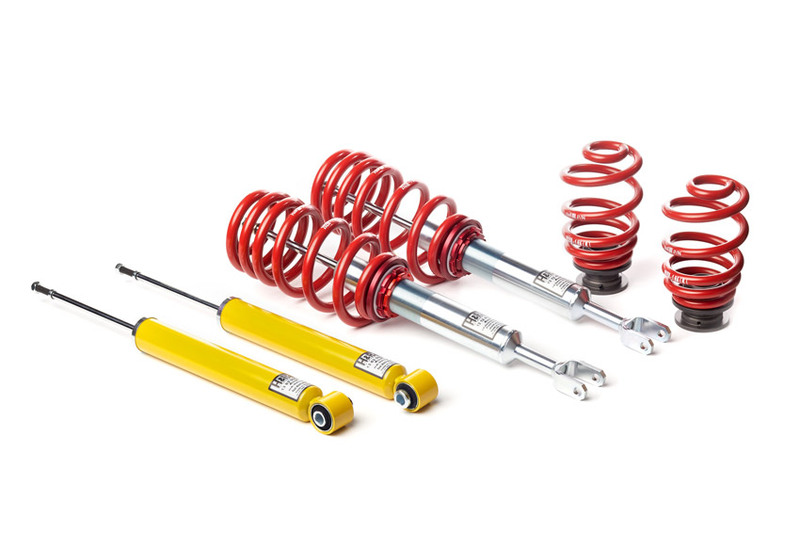 No worries here, H&R's Coilovers broke away from traditional twin-tube shock absorbers and engineered a state-of-the-art mono-tube gas shock construction to bring you the best suspension product available for your 04+ Audi S4. Using top quality materials, H&R's engineers modified each coil over shock with a progressive rate spring to provide you with performance handling and a comfortable drive, all in one incredible design.